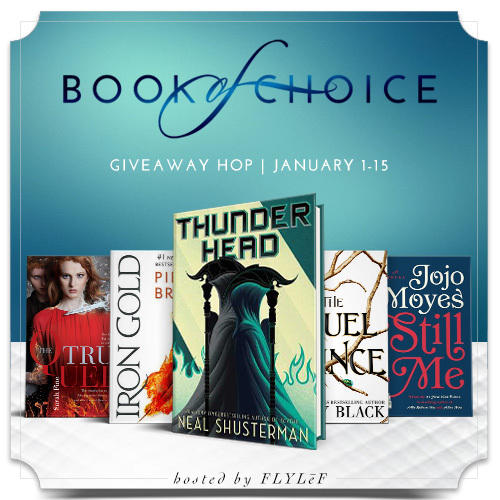 January Book of Choice Giveaway Hop – Escape Reality, Read Fiction! New Year’s Day is a time for setting goals and making resolutions for the year ahead. And for looking forward to all the lovely new books coming out in the months ahead. My own personal end-of-2017 had more than its share of low notes, so I’m looking forward to getting lost in a few (more than a few) forthcoming new books. Three books I’m really looking forward to this month: Markswoman by Rati Mehrotra, The Lost Plot by Genevieve Cogman (Invisible Library #4) and one of my annual treats, Cast in Deception by Michelle Sagara, the next book in her marvelous fantasy series, the Chronicles of Elantra. Guest Post: Laura Kaye’s WEST OF WANT Preview & Prizes Event! I am so looking forward to Baby, I’m Howling for You by Christine Warren! I don’t know what’s upcoming but I know there are plenty of good books out there I’ve been seeing talked about on Twitter. Those have me excited! I am starting The Good Daughter by Karin Slaughter. Happy New Years, so many books, The woman in the window sounds good. Lots of good books coming out in January, but I’m really excited for Sharon Lee and Steve Miller’s newest Liaden book coming out tomorrow. I am most looking forward to the second Wires and Nerve because the first one was so great! Red Clocks by Leni Zuma. A novel set in a dystopian future where five women from different backgrounds must cope after women’s reproductive rights are once again not in their control. I’m waiting for Feversong by Karen Marie Moning and Falling For The Highlander by Lynsay Sands. I am looking forward to The Punishment she Deserves by Elizabeth George. I’ve heard a lot about it so I’ll say Say You Remember Me! Happy New Year…. Heart on Fire by Amanda Bouchet arrives tomorrow. I can’t wait. Wires and Nerves 2 sounds good! The links are from last March. Some of these Web sites appear not to be taking part and some appear to be defunct. I’m excited for The Cruel Prince. Like Febie, I’m excited for The Cruel Prince, everyone I’ve seen has good things to say about it, and Holly Black’s books are always interesting. I want to read The Woman in the Window! Oh I am so excited for Still Me, and About That Kiss by Jill Shalvis! I’m looking forward to The Cruel Prince! I’m not sure. I pre-ordered ‘Swearing Is Good for You: The Amazing Science of Bad Language’ By Emma Byrne if that counts. Truly Devious by Maureen Johnson looks interesting. I look forward to reading the final book in the Outlander series! I am looking forward to Everless, Batman: Nightwalker and Vires and Nerves 2! I am most looking forward to the graphic novel Saga Vol 8!! I am looking forward to Batman: Nightwalker by Marie Lu! There are several books that look forward to me, Love, Hate, and Other Filters is probably at the top of that list because it explores a culture that I haven’t read enough about. I’m looking forward to Bad For You by J. Daniels! Definitely The Cruel Prince by Holly Blake!! I don’t have a book that I’m looking forward to this month. The Cruel Prince and Batman Nightwalker. The Woman in the Window is at the top of my TBR list. The reviews sound fantastic!!!! I’m looking forward to Death Below Stairs by Jennifer Ashley. Thunderhead looks amazing! Thanks for the giveaway! I’m excited to read The Cruel Prince! I’m looking forward to The Immortalists by Chloe Benjamin. I want to read Someone to Hold by Mary Balogh. I’m looking forward to The Hazel Wood by Melissa Albert. I’m Looking forward to Cast in Deception by Michelle Sagara. Pingback: The Sunday Post AKA What’s on my (Mostly Virtual) Nightstand 1-7-18 – Escape Reality, Read Fiction! I am most looking forward to Say You’ll Remember Me by Katie McGarry. I’m looking forward to ” Say You’ll Remember Me” by Katie McGarry. The Hazel Wood by Melissa Albert! 🙂 So excited! The January book I most look forward to is THE CHALK MAN. I never have a clue where to look to see where all the new books are all together…nobody really links to them on these hops. That being said, I’d love to read a good memoir or any artsy/craftsy book. Thanks and God Bless! I’m looking forward to reading Many a Twist b y Sheila Connolly. I´m looking forward to The Cruel Prince. 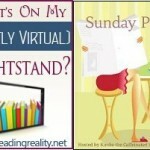 Pingback: The Sunday Post AKA What’s on my (Mostly Virtual) Nightstand 1-14-18 – Escape Reality, Read Fiction! I would say Moonlight sins by Jennifer L Armentrout. I’m most looking forward to Blood Fury by J.R. Ward. There are a bunch but I think either The Wolves of Winter or The Woman in the Window are the two books that I haven’t read that I’m looking forward to most in January!